DMV.com was created to help simplify your life by providing you with all the vehicle related information and Alaska DMV services you may need, in one place. Quickly find information and services regarding driving records, vehicle registration, drivers license renewal, license plate renewal, getting a learners permit, and finding a Alaska Department of Motor Vehicles approved traffic school. A DMV drivers license must be obtained by all new Alaska drivers. Find out how to get a drivers license in just a few simple steps. Request your AK DMV driving record from the comfort of home today. Obtain driving records online and avoid waiting in line at the DMV. The Alaska DMV requires drivers to have auto insurance. Get a car insurance quote online, and find affordable vehicle insurance today. Enroll in Alaska online traffic school. Taking our approved defensive driving course can reduce points, dismiss tickets and lower insurance. Take a DMV practice exam online to test your knowledge of the AK DMV Handbook. Passing a driving practice test can help you earn a license. 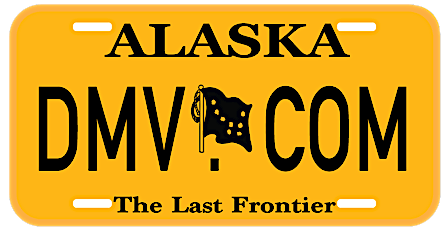 Find out how to apply for DMV car registration in Alaska. Learn how to get car registration documents in a few simple steps. The Alaska DMV requires prospective drivers to pass a drivers education course. Register for drivers ed online to meet license requirements. Be sure to obtain a bill of sale from the Alaska DMV if you are buying or selling a car. Learn more about the DMV bill of sale and its role. Paying AK traffic tickets on time is critical for avoiding additional penalties. Learn how to pay a ticket online quickly and conveniently. The AK DMV considers driving under the influence (DUI) to be a serious offense. Learn about Alaska DUI laws and DUI penalties. Buying a car in Alaska can be easy and stress-free. Learn how to buy a car online and easily meet DMV requirements for new vehicles. Find Alaska DMV locations near you to complete the DMV services you need. Learn important information, including DMV hours of operation. Skip all the queuing and find the most-up-to date info about the Alaska Division of Motor Vehicles. DMV.com is the fastest and easiest guide to the Alaska Bureau of Motor Vehicles. Because our site is private and is not affiliated with any government agency, we are sparing you from time-wasting government bureaucracy. Our chief goal is to remain the most reliable and easy-to-use source of any vehicle related info online. If you drive a car, motorcycle, all-terrain vehicle, or own a boat or you name it, we’ll get you the latest news on requirements or forms to fill at the Alaska DMV. All you have to do is just to take a look at our extensive list of neatly written articles. We assure you that with our help you’ll meet all the requirements the Alaska BMV imposes. Our page is easy to use and navigating through it is a piece of cake. Use the “search” feature or the navigation sections and you’ll get all the info you need. We encourage you to become our fan on Facebook and tell us what you think about our articles, sites, or the services your local office offers. Interact with us and help us improve our services.